That all-new redesigned 2015 Chevy Colorado has had quite the successful comeback since its long-anticipated arrival at dealerships in late 2014. 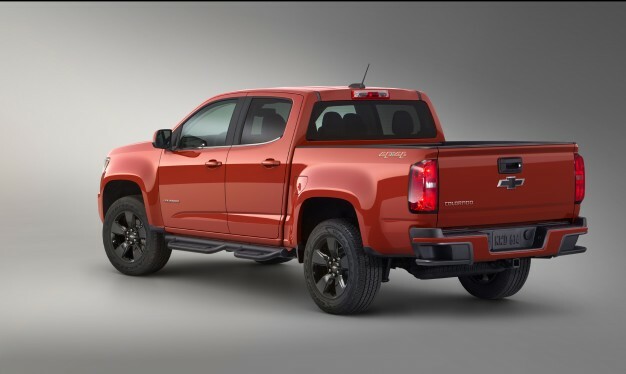 Besides winning MotorTrend’s Truck of the Year and Car.com’s Best Pickup of 2015, the mid-sized pickup was a huge hit during and after the epic Super Bowl this year with a clever commercial to highlight the benefits of having OnStar’s 4G LTE built-in Wi-Fi hotspot, and the presentation of a new Colorado Z71 to MVP of the New England Patriots, Tom Brady, who graciously handed the truck to rookie, Malcolm Butler, who made the epic winning catch of that game. Chevrolet also conducted an experiment that proved the Colorado could even make a person more dateable! How about that! One of the greatest features of the new Colorado that hasn’t been talked about too much (well, until now) is the available GearOn® Cargo Management System which allows adventurists to optimize the truck bed space with different mounting configurations for kayaks, bikes, even a pop-up tent, and compartment options for all your gear and equipment. So, the GearOn® Edition is born, taking aim at high end versions of the Nissan Frontier and Toyota Tacoma. The special-edition Colorado will include the GearOn® bars package, divider package, and cargo tie-down rings. Other details include off-road assist steps, EZ light and lower tailgate, 18-inch aluminum wheels, remote start, front and rear black bow tie emblems, and a body-colored solid grille plate. It will be offered on Colorado LT models, crew and extended cabs, with short and long beds and optional 4WD. The GearOn® Edition Colorado will be arriving at NASCAR champion, Jeff Gordon’s award-winning dealership, Jeff Gordon Chevrolet, in Wilmington, North Carolina this Spring of 2015 and will have a price tag of $32,125 (including destination charge.) And if that price tag is a little more than you would like to spend, the GearOn® accessory kit is available across the lineup and can be purchased with your regular-edition Colorado. But, there’s no need to wait for the special edition to get here! If you haven’t driven the Colorado yet, you must! Schedule your test drive at Jeff Gordon Chevy by calling (910)798-2650! You can also just shoot us an email here. And lastly, if you would like updates on the GearOn® Edition Colorado’s arrival, fill out the form below for updates! What are your thoughts on this special edition Chevy Truck, or the Colorado in general? Share with us by leaving a comment below! Chevy announces standard model to start at $20,995 MSRP. The 2015 Colorado is expected to arrive at Jeff Gordon Chevrolet in Wilmington, NC this Fall of 2014 to compete with the Toyota Tacoma and Nissan Frontier. For more detailed pricing information, or to pre-order yours now, call us at (910)798-2650 or fill out the contact form below to shoot us an email! And, of course, you can always just leave a comment with any questions or, well… comments. Update 8/25/14: The Colorado is now available for pre-order at Jeff Gordon Chevy! Click below to order yours!